When all is said and done, there may be as many as two dozen Democratic hopefuls for the 2020 presidential nomination. But nearly all of them will have one thing in common: they’ll be trumpeting one of Bernie Sanders’ signature causes – upending our healthcare system in favour of a single payer system. We progressives call it, Medicare for All. Since 2016, when the Independent senator from Vermont used his White House bid to call for Medicare for All so that all Americans have access to high-quality healthcare, the Democratic Party has bolted to the left. Nearly all of the candidates who have, up to now, announced their intentions to run for president in 2020 – and many of those who seem to be preparing to enter the race – support Medicare for All. It wasn’t that long ago that advocating for a single payer system was thought to be political suicide. Yet, today, running on Medicare for All is one of the most popular positions. A recent poll showed that 70 percent of Americans supported Medicare for All. Ultimately, providing affordable healthcare for every American will be an uphill battle for any presidential candidate. In fact, some may still question the viability of a healthcare for all system. But the undeniable truth is that our current system has failed. It has left millions of Americans uninsured and struggling to get the healthcare they need even if they have insurance. I ought to know. I live in the state with the highest uninsured rate in the country – Texas. While our state’s elected leaders have long touted the expansive benefits of the so-called “Texas economic miracle”, that miracle apparently did not include access to basic things like healthcare. You see, one in six Texans don’t have health insurance. Medicare for All could be an effective rallying cry for Democratic candidates. After all, Americans are tired of footing the bill for the most expensive healthcare in the world that still leaves millions of them uninsured. While Obamacare helped close the uninsured gap significantly, it didn’t go far enough. The costs of healthcare are still soaring, and millions of Americans still don’t have healthcare coverage. Nearly every American knows someone who doesn’t have healthcare. My mother is one of the estimated 27 million that don’t have health insurance. She has diabetes, and she is forced to cut her $12 pills in half to manage the disease because she can’t afford the full cost for the medication she needs. When she is sick, she is afraid to go to the doctor because she can’t afford it. Yet, she also can’t afford to not get the medical care she needs. Even if you are lucky enough to have health insurance, it is a bureaucratic nightmare of a system that often still leaves you owing thousands of dollars after an illness or injury. Of course, some say that – because healthcare makes up one-sixth of the US economy – the issue is too challenging to tackle. But who are we kidding? An inefficient and expensive healthcare system is crippling our economy. Besides, surely, the most prosperous nation in the world can do a better job of caring for the citizens who helped make it so prosperous in the first place. Nearly every American has experienced up-close the failures of our current system. That’s why Bernie’s initiatives on healthcare have taken hold with voters and the cast of Democratic hopefuls. Those candidates have to know that it won’t be enough in 2020 to simply say that you want to reform our current system or just try or make prescription drugs more affordable. Voters aren’t looking to make gains on the margins, they are looking to end a system that they believe has wholly failed them. That’s why we need Medicare for All. In 2016, Sanders’ ideas were thought to be too extreme for the Democratic Party establishment. But, just a few years later, they are now the mainstream. 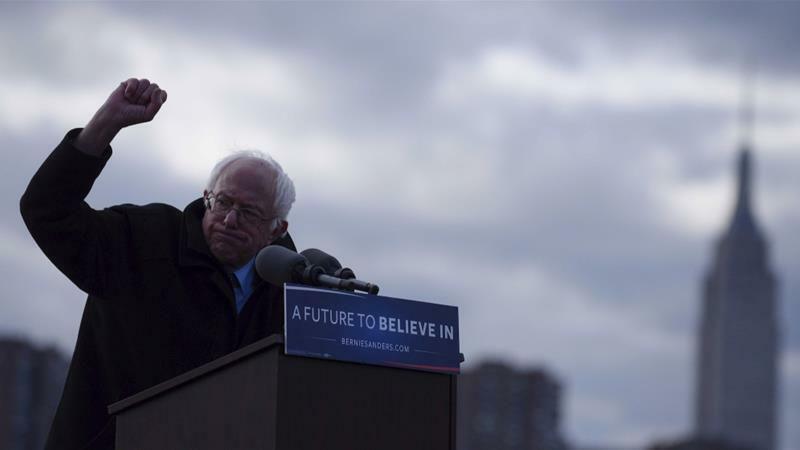 It’s unclear whether Sanders will once again enter the race for President. But this much is clear: his ideas have already won it.